Dark side of IVF stories are few and far between, but we’re helping to change that. We made history of our own recently. Our #UnmaskingIVF stories were heard, acknowledged and included in the #IVFis40th narrative thanks in large part to STAT, a Boston Globe Media health reporting website. The editors chose to include ‘our’ perspective and experience in First Opinion, a STAT section of opinion on medicine, biotechnology, and the life sciences. 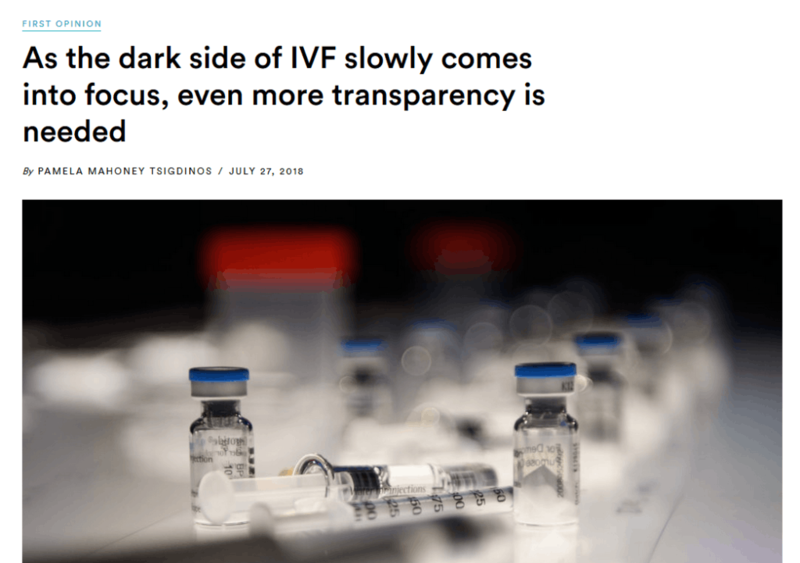 The article is titled: As the dark side of IVF slowly comes into focus, even more transparency is needed.